JAMMU: A seven-member State Badminton team today left for participation in the 83rd Senior National Badminton Championship to be held at Guwahati in Assam) from February 10 to February 16. The team was selected on the basis of performance in the State Championship. 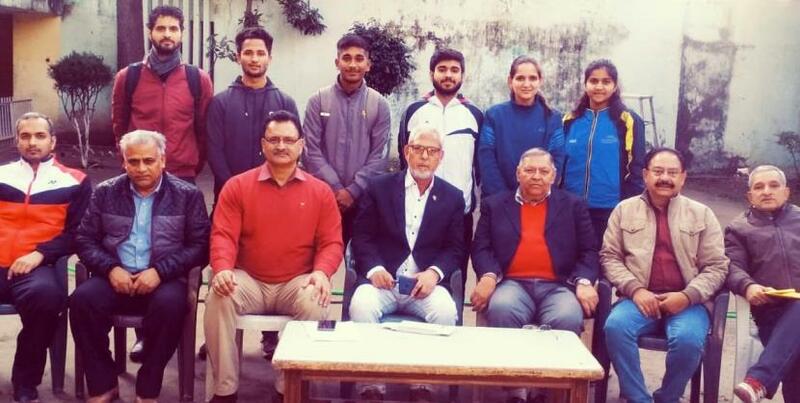 Bikram Saini (SAI Badminton coach) and Balbir Jamwal (general secretary of the Association) accompanied the team as coach and manager respectively. MEN: Raghav Dogra, Vipul Saini, Divum Gupta and Sunil Bakshi. WOMEN: Poorvi Singh, Rupal Anand and Rashmi Kashyap. Vikram Saini, SAI Badminton Coach will accompany with team and Balbir Jamwal as Manager. Earlier, the team underwent screening conducted by the officials of the J&K State Sports Council (JKSSC) at Indoor Complex, MA Stadium, here yesterday. Dr OD Sharma (Chairman of the Association) and Sat Pal Sharma (SAI Badminton coach) were among others present. 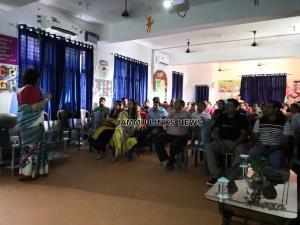 The screening committee comprised Abdul Qayoom, Ravi Singh and Ashok Singh.